Aerial inclined photograph of Rockall islet. Captioned: '6012. AC26. Earls Colne 10 Apr’45//K20 6 1/2'. 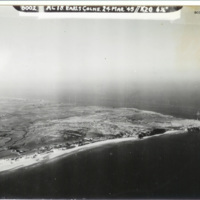 Aerial inclined photograph of a large headland jutting out into sea. Captioned '6002 AC18 Earls Colne. 24 Mar 1945//K20 6 1/2'. 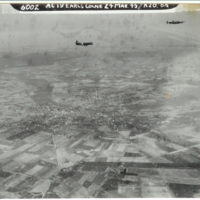 This item was sent to the IBCC Digital Archive already in digital form: no better quality copies are available.